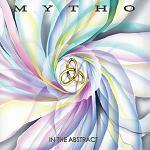 Review: "Mytho: In The Abstract" - Sea of Tranquility - The Web Destination for Progressive Music! Shortly after England popularized progressive rock, several Italian bands emerged, hoping to capture a similar sound. Early pioneers like PFM and Il Balletto di Bronzo paved the way for the newest generation of prog artists, like Mytho. Their debut album, In The Abstract, is a light yet mostly satisfying venture into, well, abstraction. The band was formed by guitarists Enzo Ferlazzo and Antonio Machera in 2007. Soon after, Fabrizio Machera (drums) and Marco Machera (bass/vocals) joined, and they released their self titled EP in 2008. In The Abstract features vocalist John Payne (ASIA) and, with airy synths, catchy songs and mellow timbres, carries a very optimistic vibe. The album opens with "Abstract," which feels like an emptier The Flower Kings and late 70s Genesis. It's a fairly poppy track (most of the album is), so it's definitely on the lighter side of the genre, but it still features interesting movements and a pleasant melody. Displaying a shameless (though still effective) homage to their influences, "Alpha Centauri" recalls the infamous drumming of "Watch of the Skies" almost identically; there's no denying that that's where it came from. It interrupts the first portion of the song unexpectedly, elevating it into slightly more complex territory. "New Gemini's Rising," the most narrative driven, is the first place Mytho really displays any heaviness, which is refreshing. "Maelstrom," an instrumental, provides a nice interlude in the sequence. The usage of double tracked guitars and a certain spacey vibe recalls Pink Floyd's "Echoes." "These Words Are in my Heart" strikes a beautiful balance between acoustic guitars and electric as another emotive melody steers it. Even will all the lovely elements, In the Abstract suffers from one main problem � a lack of diversity. The whole album flows together well because it isn't distinctive enough. The same sounds and carefree aesthetic permeate throughout, which means it becomes uninvolving after a couple tracks. It's true that there are worthwhile specifics to each song, but the album eventually fades into the background because it never picks up steam; there's never really any change in tone or aggression. Still, it's an amiable debut, but one that they need to learn some things from.